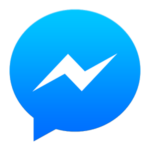 Facebook Messenger (FREE on both IOS and Android) – Originally just a tool on Facebook, now Facebook Messenger is also it’s own standalone app that allows you to communicate directly with over 1 Billion Facebook users. Plus with Facebook’s acquisition of WhatsApp, FB Messenger, continues to get improved tools. 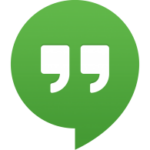 Google Hangouts (FREE on both IOS and Android) – Google Hangouts is Google’s all-in-one communication tool meaning you can SMS/Text, Chat, Phone Call or Video call others or even groups of people at once for free. Plus Hangouts is integrated into most of the Google Apps for Work platform meaning you can do all of this from your Gmail account, while on Google Plus, inside office documents, with the app on your mobile devices, etc. thus making it one of the most powerful options available. Skype (FREE on both IOS and Android) – Skype is Microsoft’s all-in-one communication tool that works across all devices boasting SMS/Text, Chat, Phone &/or Video services. It is free to use if you contact other Skype users and has minimal fees if you contact non-Skype users and is an excellent communication option. 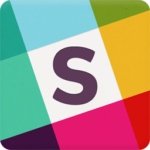 Slack (FREE on both IOS and Android) – Slack is a team or company communication tool that focuses on messaging over traditional email for team work flow. WhatsApp (FREE on both IOS and Android) is one of the best communications apps to use on a mobile device as it has grown to over 1 Billion users worldwide who you can essentially communicate with, live stream video, even do file transfer to for FREE as long as you are on a wifi connection. Plus it is extremely secure and encrypted for your privacy concerns.